The exhibition grows around Nanda Vigo’s research main theme, a unique character in the contemporary history of art: the light that the artist defines as “supporting structure of the projects philosophy”. Nanda Vigo expresses herself through the use of mirrors, processed glasses, the consequent use of the refracted light and the transparent images. This passion for the light and its rigorous application in her installations, led her to the creation of experimental spot lights, but specially neon realizations that are her preference because can produce a diffuse light impalpable and let her to experiment. 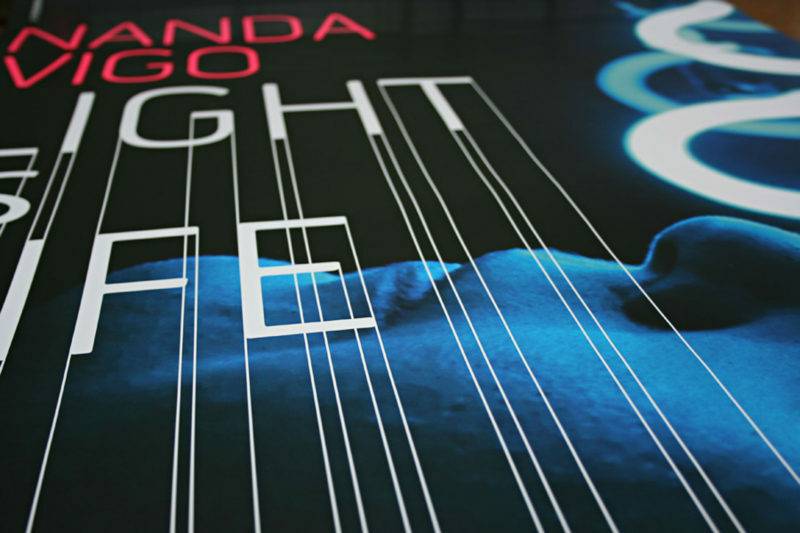 The graphic design is inspired by the neon lights, a fundamental element in the poetry of Nanda Vigo: the florescent colors, the artificial tonality and the typographic character used (Hermes of Font Bureau) indirectly recall the retro-futuristic imagination that provides this kind of illumination. 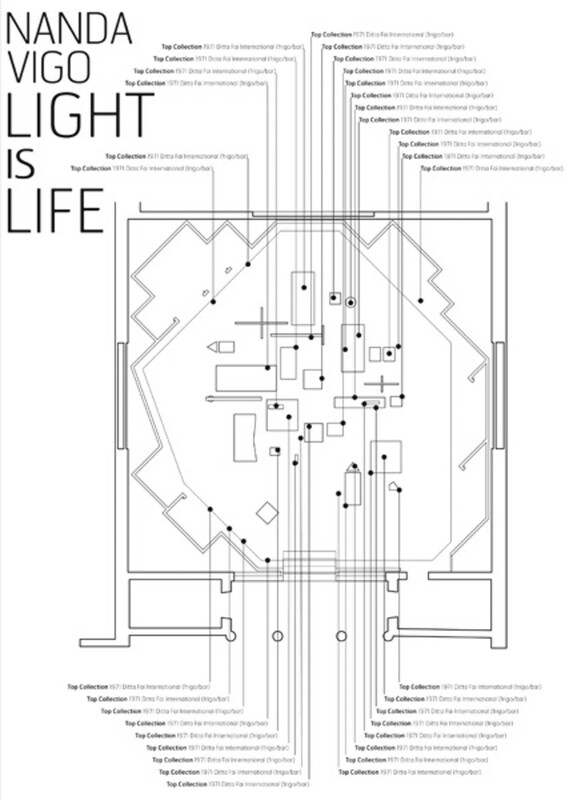 The vertical ordered and disordered at the same time lines, want to remind us the vital and organic light force, a thing that Nanda Vigo hasn’t forgotten throughout her artistic carrier.